Your South florida Painting Experts! Providing professional residential and commercial painting services in Palm Beach County for over 18 years. We are a full-service Local Painting Company also specializing in Popcorn Ceiling Removal. As experienced professionals, we offer quality service at reasonable rates. Whether interior or exterior work, we are your dependable partner! Have Paintbrush Will Travel, Inc. is Licensed, Bonded and Insured. We are also accredited by the Better Business Bureau with an A+ Rating. In addition to painting the exterior of your building, we help you with concrete damage repair, color and design, protection and maintenance, as well as further individual services. Caring for your building is highly important for property value. That's why we support you with a variety of services that contribute to maintaining the value as well as the visual appeal of the house. Make your kitchen cabinets beautiful with out professional cabinet painting service. We'll work with you to find the best look and feel for your cabinets. Why spend the money replacing them when you can have them professionally painted? Popcorn ceiling removal is becoming quite popular in South Florida. Given certain hazards, this should only be done by a professional contractor such as Have Paintbrush Will Travel. Depending on the age of your home, there will be safety risks involved with ceiling popcorn removal. However, we are more than capable to handle any problem should they arise. I called Rick on a referral from my sister who she had hired for a previous job. I had him come and give me an estimate for popcorn removal. His price was very fair for the amount of work that had to be performed. He stated how long the removal would take and to paint afterwards. His crew came in and taped up the floors and walls and there was no mess.. The outcome was great! Would definitely hire again. Rick and his team were very professional from beginning to end. Everything is outstanding. From his quality of work down to his personal attention to detail at the end of the job. I would recommend his company without a doubt!!! NEED SOME HELP CHOOSING THE PERFECT COLOR FOR YOUR PAINTING PROJECT? 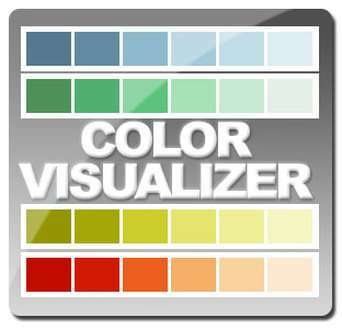 SIMPLY CLICK ON THE COLOR VISUALIZER BADGE TO DISCOVER ALL OF THE DIFFERENT COLORS OF THE RAINBOW.